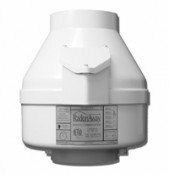 When my attic radon fan started making strange noises, a little research revealed that it needed to be replaced. After inspecting the fan and how it was installed, it seemed like a fairly easy job, so I looked around for a replacement. Indoor Air Health Advisor had the best price for a RadonAway RP140, and it was shipped almost immediately. I was a little nervous about taking on this project, but it took all of 15 minutes (and it would have been quicker if it weren't originally installed by the builder in a hard to reach area). Connected three wires, tightened up the air inflow and outflow connectors, and the job was done. 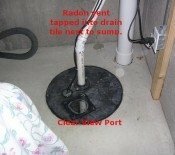 Installing a mitigation system from scratch might be a more challenging undertaking, but someone with even very basic mechanical skills can replace a fan very easily and save a LOT of money in the process.